Would you like to reduce work-related safety incidents and raise employee engagement across the board, all while increasing your company's bottom line? 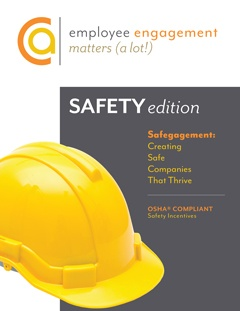 Then download this complimentary white paper, Safegagement: Creating Safe Companies That Thrive, and you will be on your way to establishing a Culture of Safety within your organization. The "Five Components of Safegagement"
Request your Safegagement: Creating Safe Companies That Thrive Whitepaper now by filling out the form on this page.